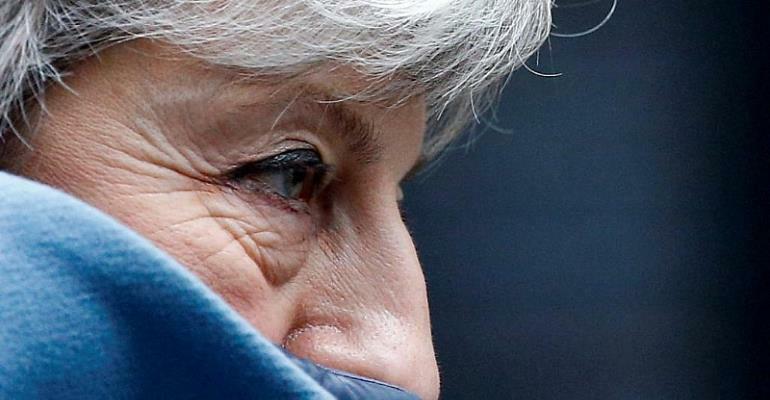 British leader Theresa May's government warned Sunday it might not hold a planned Brexit vote this week unless it feels it can secure a win that avoids a lengthy delay to pulling out of the EU. London has been paralyzed by political inaction and chaos as it barrels toward the March 29 end of its 46-year involvement in the bloc without a plan. She reluctantly promised to bring them back by Wednesday for a third vote that, if succesful, would allow her to ask Brussels for a "technical" Brexit extension until the end of June. Meanwhile, An EU diplomatic note, seen by British newspaper The Observer, of a meeting of EU ambassadors and senior officials, points at attempts to prevent a new prime minister from automatically annul the withdrawal agreement signed initially between May and Brussels, in the case that May is replaced in the coming months. Some hardline pro-Brexit politicians like to replace her with a leader who will back a harder split with Brussels. Several scenarios are possible before EU leaders gather in Brussels. If May does go ahead with the vote and it is successful in getting MPs to back her plan, the UK will ask Brussels for a short delay to Brexit that would secure a departure by the end of June. May herself initially said this isn't ideal – but it beats the shock of a no-deal Brexit on March 29, and it will allow Britain to get its house in order in time to deliver the departure from the EU that Britons voted for three years earlier. Of course it should be pointed out that the UK does not have the power to unilaterally delay Brexit itself. Such a move would need to be unanimously approved by the EU's remaining 27 member states. So far the EU has indicated it's ready to grant the UK an extension on Brexit – if London puts forward a convincing reason as to why it's merited.